As the leading provider of Estate & Tag Sales in central Indiana, we will help you deal with your specific needs. No sale is too large or too small. I have a variety of great workers to choose from for your specific sale. Sincerely Yours Estate & Tag Sales takes pride in offering honest, courteous, & trustworthy service with 100% discretion. Our caring team comes to your home to help ease your transition in every way possible. We do a FREE walk through of the home & help you decide if an estate sale is the right option for you. 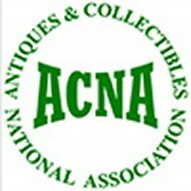 Our team has decades of ESTATE SALE experience in selling antiques, household furnishing, vehicles, and collectibles. We are dedicated to serving the needs of our customers. We go the extra mile to make sure YOUR sale is the best it can be! Whether you need to sell your items due to divorce, relocating, death, downsizing, selling your home, empty nest, moving, foreclosured home, short sale, or other reasons, we can help! 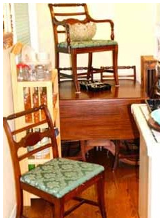 We have found the activity of having an on site estate sale creates interest in the home for sale also. It is a win/win situation for families and realtors alike! We concentrate on every detail of your sale: from our initial photographs, staging & pricing, to our check out process. We are friendly but professional. Let us give you peace of mind... The ONLY thing you need to do is decide what to keep! We will decide what needs to be thrown away and how to dispose of items. We do all the work for you. Carla will be happy to help you! Call her at 765-588-7863 and find out how we can help! Please give us your email on our "contact us" page and we will keep you updated on all of our upcoming sales! We are a family owned/run business!